Computing has been changing so rapidly over the past few years with smartphones taking over a lot of our computing and the introduction of tablet computers shaking things up. Our needs have changed as far as input devices go; no longer will a simple mouse and keyboard suffice. Gesture-based computing is the way we’re headed, which means we’ve got to really rethink the way we interact with our devices. 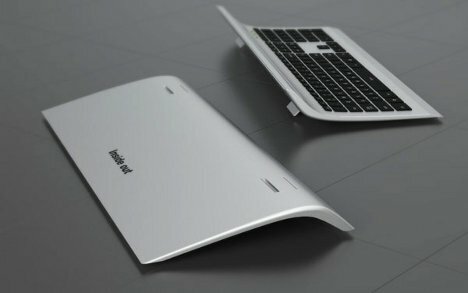 The Inside Out keyboard from designer Min Koo Yeo is a great example of what our input devices could look like in just a few years’ time. With a keyboard on one side and a huge “smart” trackpad on the other, the Inside Out clearly and physically separates navigation functions from data input functions. The keyboard side includes a standard (small) trackpad for run-of-the-mill navigation, but the flip side of the device is one huge touch-sensitive surface that will allow for a greater degree of freedom. 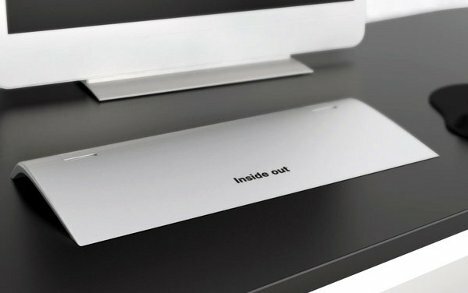 The Inside Out is just a concept at this stage but could easily become an actual product as computing needs continue to evolve over time.